On Premise Systems are the ideal solution for most businesses, offering reliable hardware which is feature rich and scalable to your business needs. The lifespan of a typical telephone system is between 5 to 8 years, therefore it offers long term cost-effectiveness. Each system is built with the end user in mind. The setup of your system will be tailored to your business requirements, allowing for more complicated call handling and extension configuration. Features are provisioned on a per-license basis, meaning you only pay for what you need. This flexibility ensures that costs are kept to a minimum on purchase, but the system can be expanded quickly as your business grows, and can adapt to new scenarios. The handsets are specifically designed to work with the system, meaning users can quickly access system features with the press of a button. The range of handsets ensures all users are catered for, from reception desks to home workers. 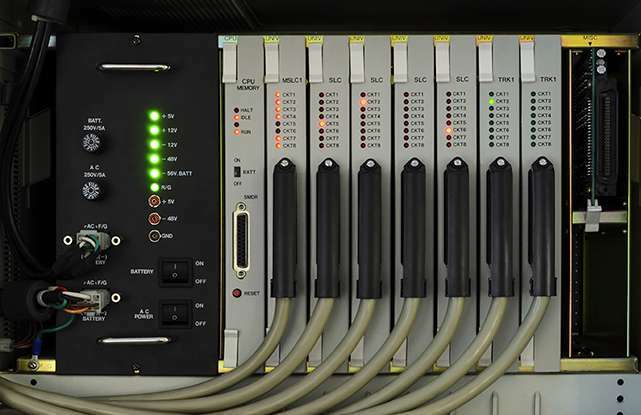 Systems are designed to support both digital lines or SIP trunks, or a combination of both. This allows you to cover multiple business scenarios, for example multi-tenanting, where different companies are run from the same office. Advanced integration with computer-based systems allows for dialling from PCs, database integration and screen popping, hotel management software and call centre applications. Our maintenance service manages the system throughout its lifecycle, covering you for configuration changes, software updates and hardware support.